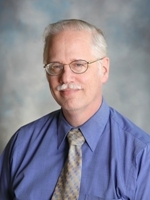 UNMC › Pathology and Microbiology › Faculty › Bios › John J. Baker, M.D. Robey AB, O'Brien EK, Richardson BE, Baker JJ, Poage DP, Leopold DA. "The Changing Face of Paranasal Sinus Fungus Balls". Ann Otol Rhinol Laryngol, 2009. 118(7): 500-505. Smith RB, Baker JJ, Sofferman RA. "Adult with Lower Neck Mass". American Academy of Otolaryngology-Head and Neck Surgery Patient of the Month Program, 2009. 39(2). Jaggi M, Nazemi T, Abrahams NA, Baker JJ, Galich A, Smith LM, Balaji KC. "N-cadherin switching occurs in high Gleason grade prostate cancer". Prostate, 2006. Feb 1, 66(2): 193-199. Kohl SL, Mathews KM, Baker JJ. "Renal Hilar Mass in an 85 Year Old Woman". Arch Pathol Lab Med, 2006. Jan; 130(1): 117-119. Jaggi M, Johansson SL, Baker JJ, Smith LM, Galich A, Balaji KC. "Aberrant Expression of E-cadherin and beta-catenin in Human Prostate Cancer". Urol Oncol, 2005. Nov-Dec; 23(6): 402-406. Stadsvold JL, Molpus KL, Baker JJ, Michael K, Remmenga SW. "Conservative management of a myxoid endometrial stromal sarcoma in a 16 year old nulliparous woman". Gynecol Oncol, 2005. Oct; 99(1): 243-245. Bernal KL, Fahmy L, Remmenga S, Bridge J, Baker J. "Embryonal Rhabdomyosarcoma (Sarcoma Botryoides) of the Cervix Presenting as a Cervical Polyp Treated with Fertility-Sparing Surgery and Adjuvant Chemotherapy". Gynecol Oncol, 2004. 95(1): 243-246. Baker JJ. "Conventional and Liquid-Based Cervicovaginal Cytology: A Comparison Study with Clinical and Histologic Follow-up". Diagn Cytopathol, 2002. 27(3): 185-188. Baker JJ, Solanki PH, Schenk DA, Van Pelt C, Ramzy I, :Transbronchial Fine Needle Aspiration of the Mediastinum: Importance of Lymphocytes as an Indicator of Specimen Adequacy." Acta Cytol, 1990. 34(4): 517-523. McMenamin PG, Anderson JD, Baker JJ, "Prostatic Carcinoma Presenting with Neck Metastasis". J Otolaryngol, 1989. 18(3): 119-124.